In addition to some of the thanks I've received in written or typed form, some students have chosen to share their appreciation with gifts! Heather Key (originally publishing under Heather Lee) sent me copies of her wonderful books! Bonus: all are expertly illustrated! Heather R. Key. 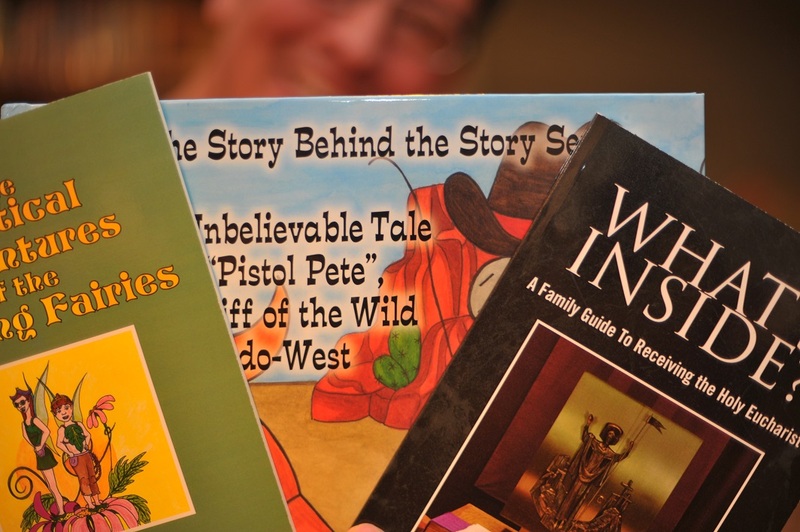 An Unbelievable Tale of "Pistol Pete," Sheriff of the Wild Indo-West. Illustrated by Ashley Herbert. Oklahoma City:Delta Graphic Mgmt., Inc, 2013. ISBN: 978-0-615-73755-3. Heather R. Lee. What's Inside? A Family Guide to Receiving the Holy Eucharist. Bloomington, IN: Xlibris, 2007. ISBN: 978-1-4257-8156-9 (H), 978-1-4257-8141-5 (S). Heather R. Lee and Carmen Lee. The Mystical Adventures of the Linkling Fairies. Illustrations by Geneva Breaux. Bloomington, IN: Xlibris, 2007. ISBN: 978-1-4257-8217-7 (H), 978-1-4257-8209-2 (S). 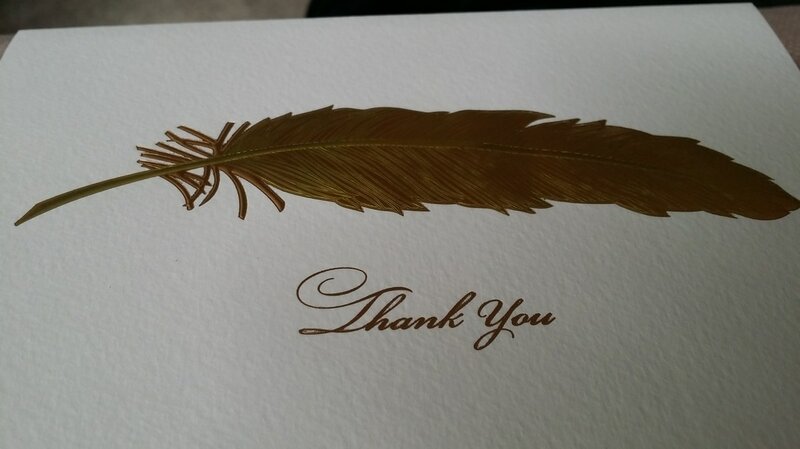 Spring 2017 - A very nice card and hand-written note of appreciation! You're most welcome!